Ethics is the new black in Information Management these days, or so it seems. From the European Data Protection Supervisor publishing an Opinion on Big Data Ethics, to countless articles about the call from data scientists for clarity on ethics, there is a growing consensus that "something must be done". The challenge arises in moving from abstract discussion to practical application. 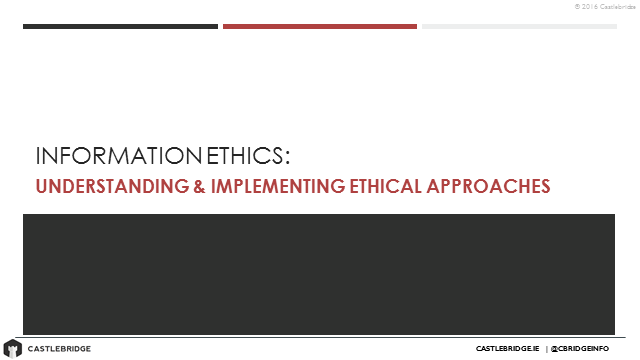 In this webinar, Katherine O'Keefe builds on themes from her presentations at EDBI and EDW to explain how Ethical Enterprise Information Management (E2IM) is the "coming wave" that we all need to learn how to ride.